Bison meat, also referred to as buffalo meat, is similar to beef in appearance and taste but has less fat and is more nutrient-dense. A 3-ounce serving of cooked ground bison contains 20 grams of protein and 202 calories. 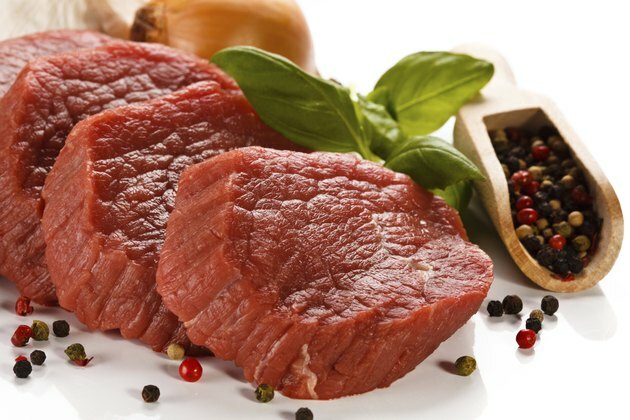 That same serving of bison meat has 13 grams of total fat, with approximately 5 grams coming from saturated fat. Bison provides 15 percent of the recommended daily intake of iron and is high in vitamin B-12, niacin, B-6, selenium, zinc and phosphorus. Even though ostrich is a bird, it is not poultry. 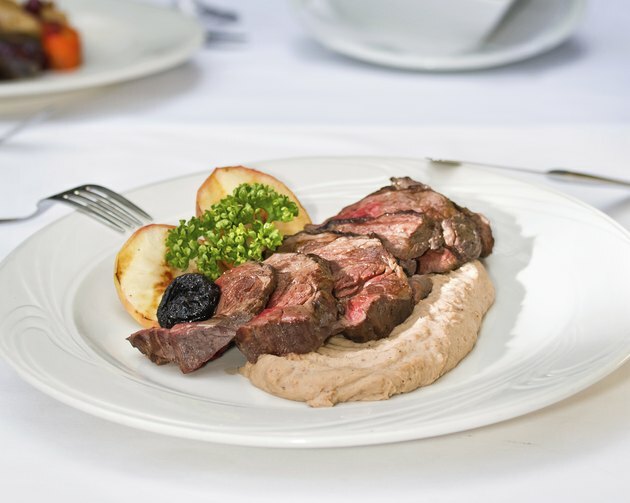 Ostrich meat is red meat and is recommended by the American Diabetes Association. Three ounces of cooked top loin ostrich has 24 grams of protein, which is 48 percent of the RDA. There are 132 calories in a 3-ounce serving, 30 calories coming from fat. There's only 1.12 grams of saturated fat in ostrich meat. 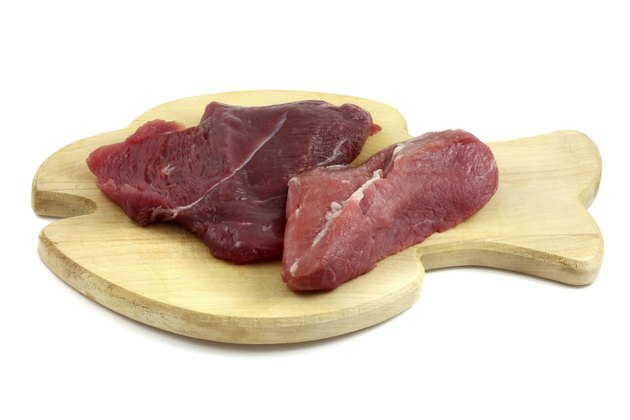 The other 2 grams of fat in ostrich meat are monounsaturated, omega-6 fatty acids and trans-fatty acids. 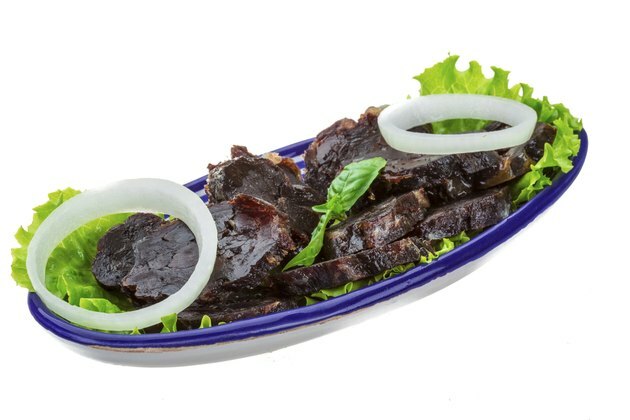 Ostrich meat is very high in selenium, zinc, phosphorus, iron and vitamin B-12. Venison, or deer meat, is a low-calorie, lean red meat with only 94 calories in a 3-ounce serving of raw venison. A 3-ounce serving of braised venison contains 162 calories. That is 8 percent of a 2,000-calorie a day diet. A venison serving only has 1.7 grams of saturated fat and 3.36 grams of total fat, providing 5 percent of the daily value of total fat. A 3-ounce cut of braised venison provides 30.8 grams of protein and 4.26 milligrams of iron. Venison is also a good source of niacin and riboflavin. In the United States, it is still taboo to eat horse meat. But in Italy and other parts of Europe and Asia, horse meat is considered a delicacy. A 3-ounce cut of horse meat provides approximately 138 calories. That same cut of cooked horse meat contains 23.9 grams of protein and only 1.6 grams of saturated fat. The other fats found in horse meat are the nutritious omega-3 fatty acids alpha-linolenic and palmitoleic acid. Horse meat provides 21 percent of the daily value of iron and 26 percent of the daily value of zinc. There's 2.69 micrograms of vitamin B-12, which is 45 percent of the recommended daily value. 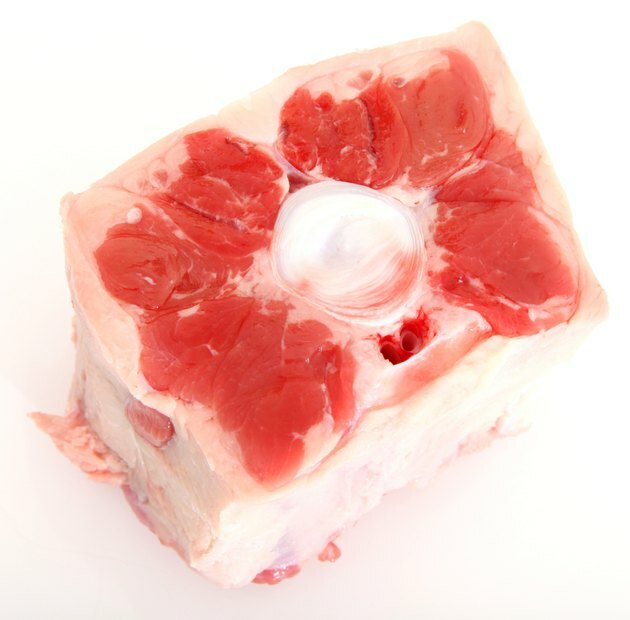 How Does Veal Compare in Nutritional Value to Beef?